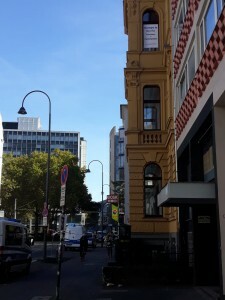 It was a surprising opportunity for European Diversity: just a few days after they had presented a D&I vision for Europe in Budapest, the team publicly used their brand-new company logo to communicate a European message to Erdogan’s entourage passing in front of their Cologne offices. D&I offers a strong rationale for societies, countries and for Europe as a whole. This was the guiding idea of a key-note presentation that The D&I Engineer, Michael Stuber, delivered a European conference in Budapest. His summary explained, how D&I was central to pursuing a European vision where peace and prosperity were paramount. 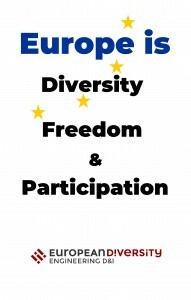 Stuber also showed, that Diversity was a central concept both on the European level and for all Member States – just like open-minded and inclusion, which translate into freedom of opinion, speech and the Media as well as dialogue and participation of all stakeholders of society. 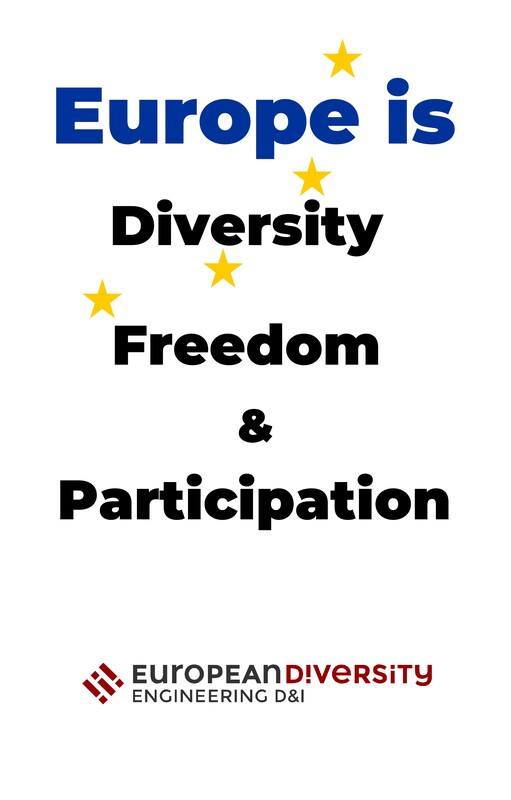 To seize the unique opportunity, European Diversity has decided to display their new corporate logo for the first time to Turkish President Erdogan on Saturday 29 Sep, when he is in Cologne. He has travelled – after his official State visit to Berlin – to Cologne to inaugurate one of Europe’s largest Mosques, an ‘unusual task’ for a head of state. Afterwards, he is scheduled to pass in front of the offices of European Diversity Research and Consulting, where floor-to-ceiling displays provide a clear message: Europe is Diversity, Freedom & Participation. The poster will also be visible from the hotel where all his staff will be staying. The message refers to Turkey’s proclaimed – although not very credible – ambition to be associated with the European Union. “Diversity is a cornerstone of Europe, and valuing diversity a European core value”, The D&I Engineer, Michael Stuber, insists and adds that Inclusion is a key mechanism in European societies, be it through democratic rules, participation and protection in society or co-determination in the business world. His company sends these core messages to the Turkish President Erdogan through the prominent poster and he explained each of the aspects at length during his key-note in Budapest. The new appearance also includes extra-bold letters, designed in Spain, which are mixed within the words to underline both the unconventional nature of the consultancy as well as ‘diversity within’ as a key concept that looks beyond the traditional constituencies. The revamped visual identity will be presented with an entirely new family of websites that will consolidate the twelve websites the company is currently running. The new logo will also be applied to the German brand, Ungleich Besser Diversity Consulting, the DiversityMine and Michael Stuber’s personal branding.